Is your home or business still on the grid? Don’t worry. You can still take advantage of Fortress Power’s energy storage system. Our customizable storage batteries store energy from solar panels and your main utility provider, intelligently charging and discharging based on your electricity company’s periods of on- and off-peak usage. If you don’t have solar panels in place, no problem. Fortress Power’s energy storage units operate regardless of your main electricity source, so our products work whether you’re harnessing power from a utility company or wind generators. No matter how you power your life, Fortress Power energy storage will protect you from power outages and save you money on costly utility bills. And just having a Fortress Power energy storage installed means you’re reducing the load on your grid’s power supply. Fortress Power also uses only lead-acid free, premium quality Lithium Ferro Phosphate technology, offering you a safer, smarter solution. Our batteries prevent inconvenient power outages by serving as a clean source of long-lasting backup energy. Protect your structure with one of our perfectly sized batteries. Utility companies require on-grid clients to shut down solar power systems during blackouts. But a Fortress Power storage battery keeps your solar system operating even when the grid is down. If your solar system is not allowed to feed back to the grid, our intelligent energy storage can store the excess solar power during the day and supply you the power when needed. Fortress Power batteries draw energy from the grid when electricity rates are cheapest. Our batteries then discharge power during peak usage periods and charge when rates are lowest, decreasing utility bills. Depending on your location, your utility company may provide tax credits up to 30% on your battery installation. You may even be eligible for state or utility rebates. Business owners are charged high rates based on their high on-grid electricity demand. 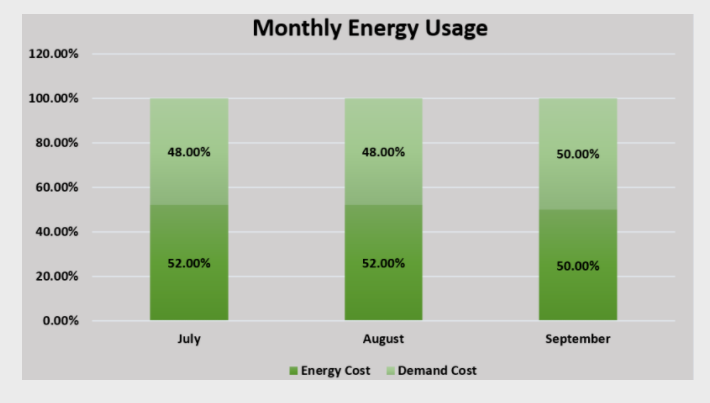 An energy storage solution can lighten your overhead costs. Since Fortress Power’s batteries store energy during off-peak energy periods (when rates are least expensive) and discharge it when rates are highest, your business will enjoy lower utility bills and a reduced carbon footprint. And, depending on your location, your purchase of a Fortress Power energy storage solution may permit your company entry in a local utility demand response program. These programs offer businesses rebates on electric bills and battery purchases, based on your business’s unique electricity requirements. You may also be eligible for bonus depreciation. At Fortress Power, we pride ourselves on bringing businesses and households energy storage products they can depend on, built from only the highest quality, highest powered lithium ferrite phosphate batteries. 2019 © Fortress Power. All Rights Reserved.